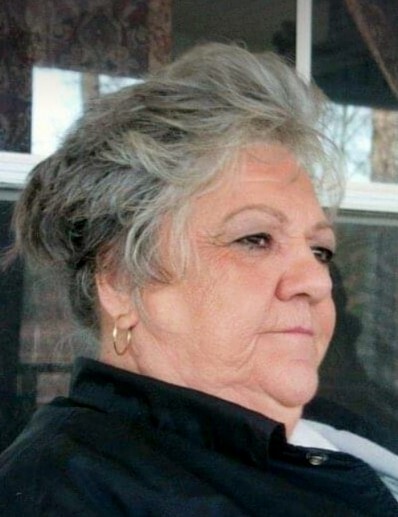 Mrs. Betty Jean Smith Henderson, 69, of Ellisville, MS passed from this life Sunday, April 14, 2019 at her residence surrounded by her loving family. She was born in Millry, AL on Thursday, July 14, 1949 to Audrey and Josephine Tate. She was a member of Strong Tower Worship Center in Ellisville, MS. Mrs. Henderson is preceded in death by her first husband, Carlton E. Smith; father, Audrey Tate; mother, Josephine Miller; daughter, Cathy Jo Smith; step daughter, Leanne Newby. She is survived by her loving husband, Leon Henderson, Sr. of Ellisville, MS; 2 sons, Audrey Smith (Robin), Carlton Smith, Jr. both of Millry, AL; daughter, Carlene Beal (Shantell) of Moss, MS; step son, Leon Henderson, Jr. (Mona) of Ellisville, MS; step daughter, Lacie Speed (Allen) of Ellisville, MS; 2 sisters, Nezzie Jones, Dianne Holder (Wayne) both of Millry, AL; 10 grandchildren; 7 great grandchildren; a host of step grandchildren. Visitation for Mrs. Henderson will be held from 5:00 PM to 9:00 PM, Tuesday, April 16, 2019 at Freeman Funeral Home, 1305 Skyland Drive, Waynesboro, MS 39367. Funeral Services will be held at 11:00 AM Wednesday, April 17, 2019 at Freeman Funeral Home in Waynesboro, MS with Rev. Dan Atkinson and Rev. Steve Hankins officiating. Interment will be in Pine Tree Cemetery in Millry, AL.